Imagine a day in the not-so distant future. A day where, when you walk up to your computer, it automatically logs you in. A day when you go to login to your Gmail, Newegg, bank, Amazon, and 10 other online accounts that they as well login you in with no hassle, no fuss… just open arms and – no password. Imagine an existing technology (bluetooth) sending and receiving all of that information to your computer from an accessory on your person. A Ring. 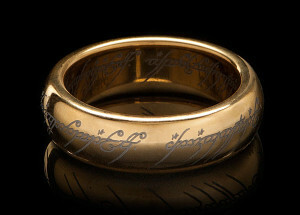 One Ring. Well folks, I am pleased to say that the eggheads at Google are turning that little fantasy into fact. They are currently working on a device that would locally store within the ring all of your complicated password information. The only catch – if you lose it, you better report it stolen quickly, otherwise it would be the end of the Shire as we know it.